UFC 216 is a card with fights may not draw immediate attention or generate the biggest stories in mixed martial arts, but still present compelling reasons to watch. 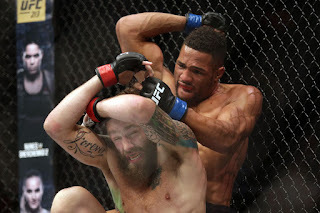 Kevin Lee is one of those reasons, as he battles Tony Ferguson for the interim lightweight title in the main event. As this fight draws closer, we get closer to seeing whether “The Motown Phenom” has the star power he claims to tout. 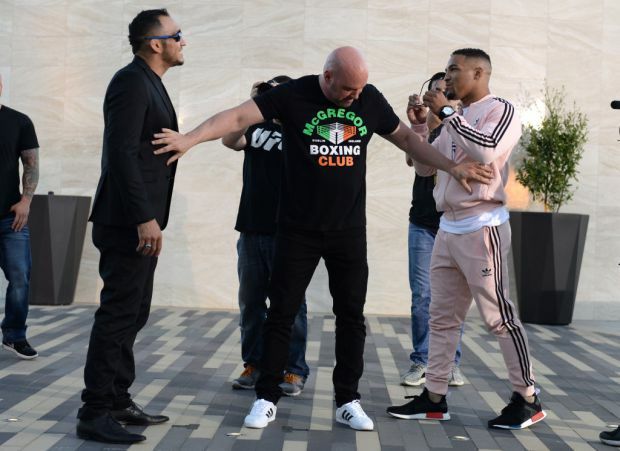 Fight promotion has always played a big role in mixed martial arts, and in combat sports as a whole, but now it's more important than ever. MMA fans may claim they roll their eyes at Conor McGregor's antics, but that doesn’t stop them from tuning in when he fights; the gate revenue and PPV buys prove so. That makes it difficult to blame his colleagues for taking similar approaches to build their places in the sport. Lee is one such fighter, as he’s grown a following in recent months mainly for his ability to promote fights, even though his abilities in the cage can back things up. Yet for the Ultimate Fighting Championship, UFC 216 represents an opportunity that the promotion must leverage to reach out to an audience that has long been just beyond its grasp. Lee’s openness regarding that situation makes him an interesting candidate when it comes to potentially breaking through to that group of fans. McGregor’s shadow hangs over this Saturday’s fight, as he’s made it clear that he’s only interested in stepping into the cage against opponents that will draw eyes and money. 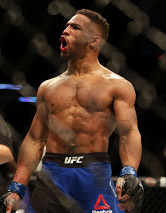 Ferguson has struggled to become a compelling opponent promotionally, even though his resume, nine-fight win streak, and 11-1 UFC record should speak for itself. Lee may not have the same type of resume, as he’s 9-2 in the UFC against less proven competition, but has the ability to hype fights in a way that Ferguson doesn’t. The UFC is all-in with fighters that can draw eyes and create big events; Lee has the persona to be such an athlete. The question at UFC 216, however, is whether Kevin Lee can get past the tough test that is Tony Ferguson. MMA Oddsbreaker lists Ferguson as the -230 betting favorite to Lee’s +190, but betting odds don’t win fights. Neither Ferguson nor Lee is guaranteed a title-unification bout against McGregor if he wins. But in some ways, a Lee victory is more interesting for the action and intrigue it could provide outside the cage.